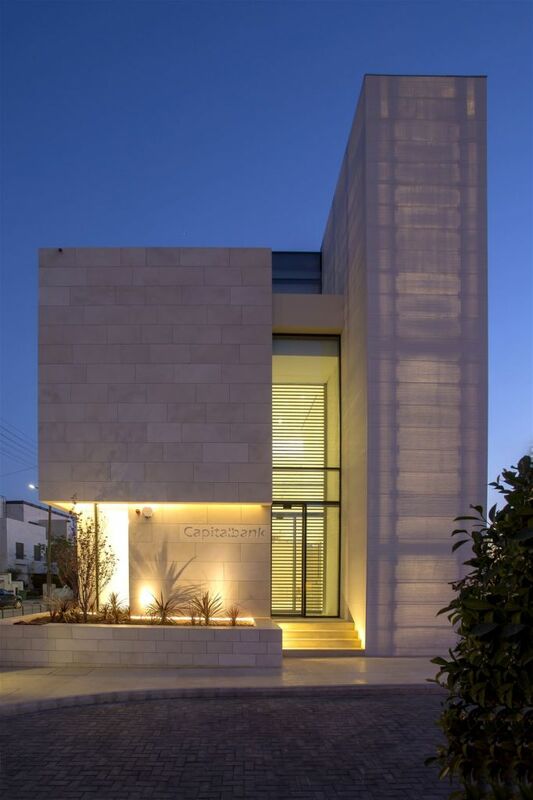 With a design ethos inspired by nature, the Capital Bank VIP Branch in Amman, Jordan is decidedly un-bank-like. 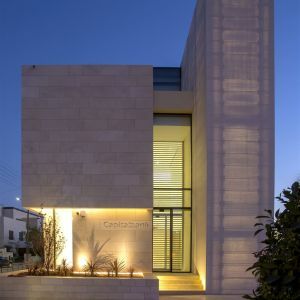 Designers wanted a boutique bank experience for clients and strove to introduce a welcoming feel and sense of belonging. 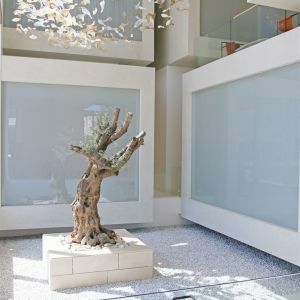 Preciosa Lighting contributed to this atmosphere by creating a crystal chandelier flowing above a sculptural olive tree that acts as a focal point for the entire space. 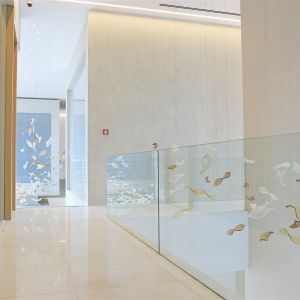 Capital Bank’s designer, Paradigm DH, had previously experienced Preciosa’s Crystal Tree installation and took inspiration from that to commission a piece of crystal nature within the bank. 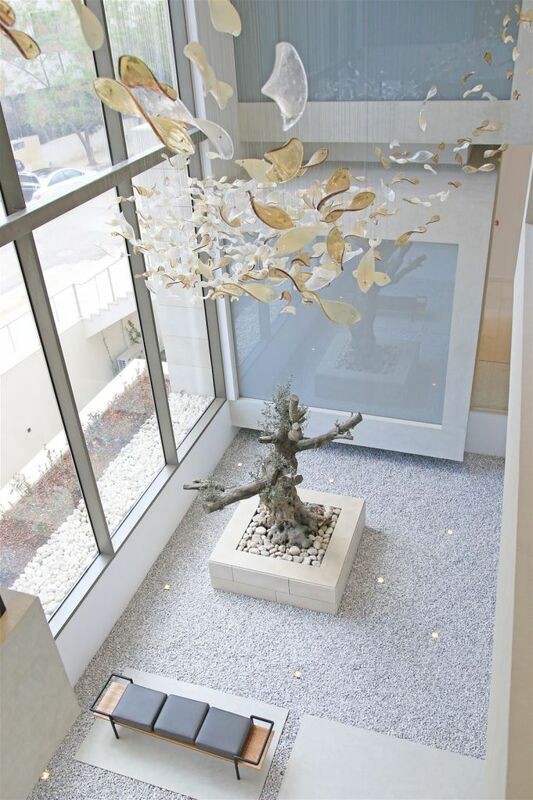 The lighting installation is displayed in an inner court which was influenced by Japanese Zen gardens. 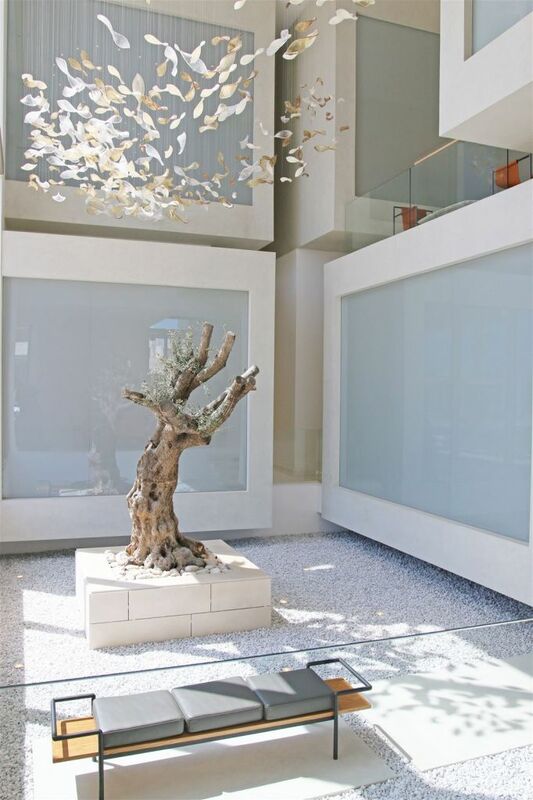 Paradigm DH arranged the offices to take advantage of the unique interior views and create a fluid space for staff and clients to experience. 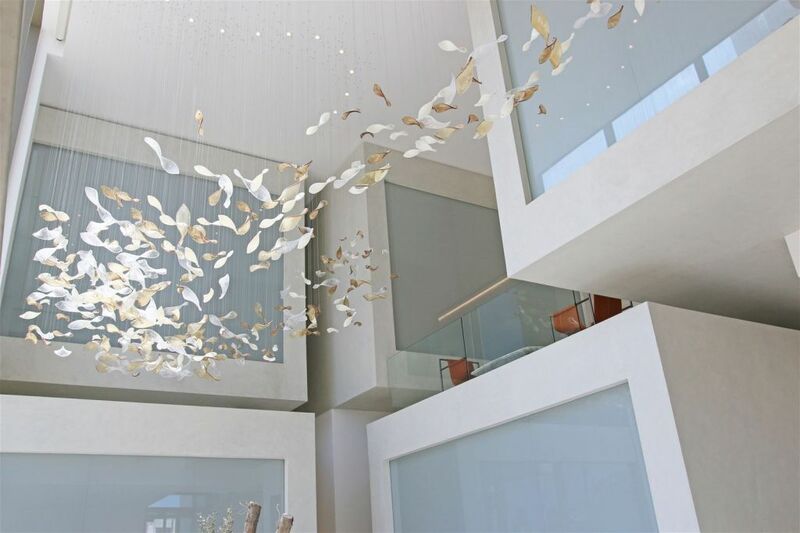 Individually hand crafted crystal leaves were created from white, sanded, clear, amber, and yellow bubbled glass. 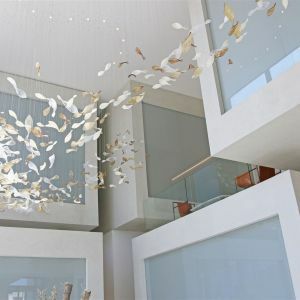 The main installation is 700 centimetres long and 330 centimetres wide. 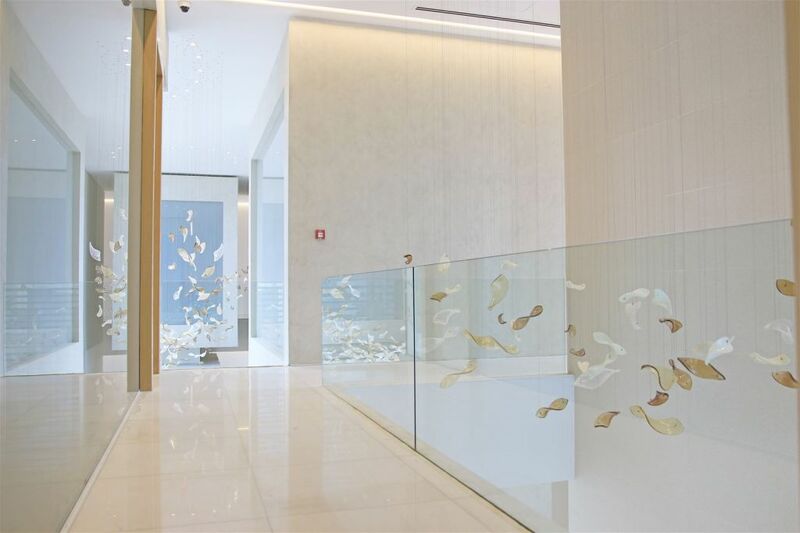 Additional crystal leaves were crafted to grace the bank’s unique glass balustrades. 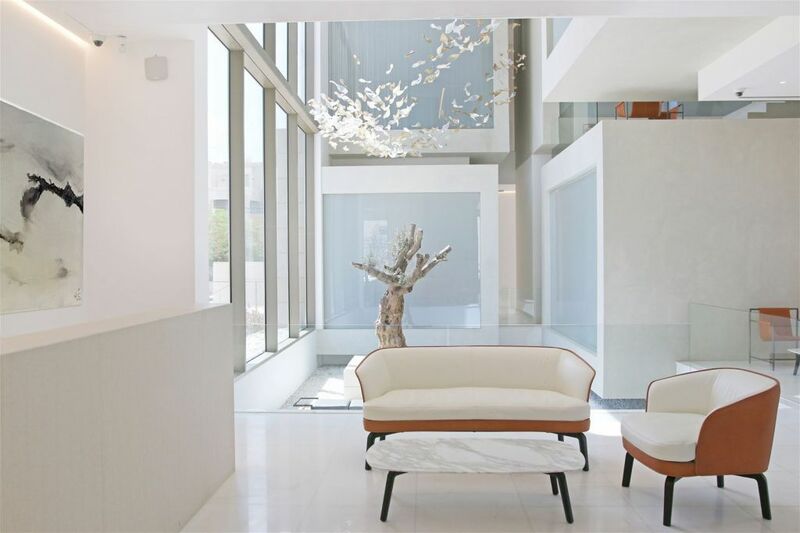 These soothing strings stretch for 320 centimetres and are 120 centimetres wide. 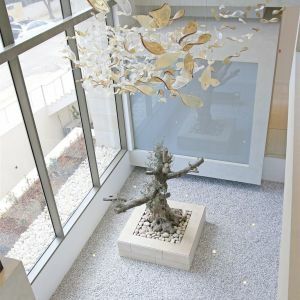 Preciosa handmade nearly 400 leaves for Capital Bank, which give the space a calming vibe and relaxing glow.